ABS brakes, Automatic High Beam Assist, Blind Spot Monitor with Closing Vehicle Sensing, Cold Climate Convenience Package, Driver Assistance Package, Electronic Stability Control, Front dual zone A/C, Heated door mirrors, Heated Front & Rear Seats, Heated Steering Wheel, Heated Windshield & Washer Jets, HomeLink, Illuminated entry, Ivory Headliner, Low tire pressure warning, Navigation System, Remote keyless entry, SiriusXM Satellite Radio & HD Radio, Traction control. Odometer is 2033 miles below market average! 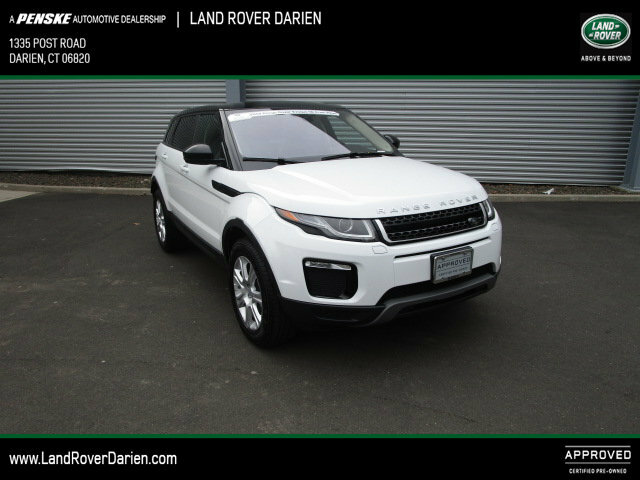 CARFAX 1-Owner Range Rover Evoque and CARFAX Buyback Guarantee qualified! 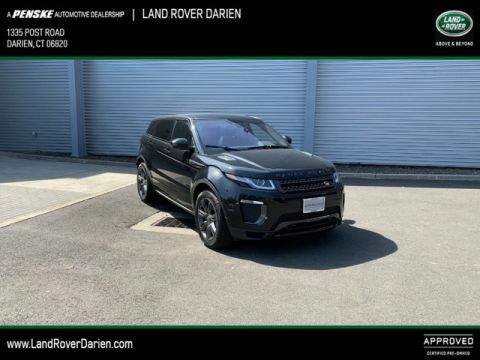 Enjoy these Certified Land Rover benefits a 150 point inspection, 24/7 roadside assistance, a warranty of: Land Rover offers two certification programs, dependent on vehicle year, mileage and use history., Standard Program: 5 year/100,000 mile Limited Warranty, whichever comes first. Eligible vehicles are no more than five model years old and have less than 60,000 miles. ;24-hour Roadside Assistance includes flat tire, dead battery, lock-out, and towing to Land Rover Retailer. 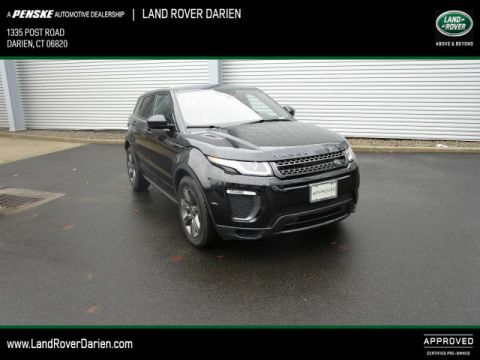 ;Every Land Rover Select Certified Pre-Owned vehicle comes with a Vehicle history report. 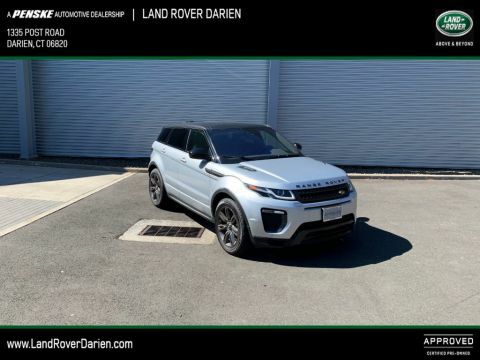 Comes equipped with: Black Contrast Roof, Car Care Kit, Cold Climate Convenience Package, Driver Assistance Package, Fuji White, Ivory Headliner, Premium Interior Protection Pack, Siriusxm Satellite Radio & Hd Radio, Wheels: 18 7-Spoke Alloy with Sparkle Finish.